Need a bigger press for try out? Keep us in mind. 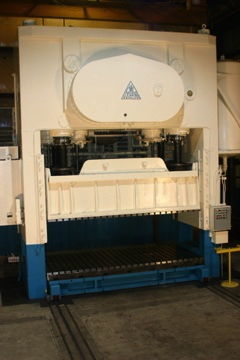 With rolling bolster and T-slots setup is fast and die access is wide open. Preferred Tool & Die has the ability to do custom stamping for you, to try out dies, and to perform engineering improvements to dies through its own stamping. With our presses to 750 Tons, 156” L-R, shut heights to 63”, and 50” windows we can run larger jobs. With over 40 years of stamping you can be sure that Preferred Tool & Die will use its experience, expertise, and the latest engineering to make sure you are delivering to your customers a well engineered quality product at a competitive price. 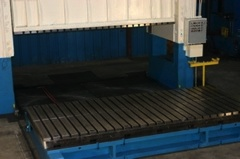 Preferred Tool & Die has the ability to do short and emergency production runs for its customers. We do not compete with our customers for large production runs but we can help our customers who have need of temporary or emergency runs. Our presses and team members are available to you if need them to meet deadlines when yours are at capacity or are off line for repair. With reasonable pricing and skilled team members we can help you meet your schedule and still remain competitive.